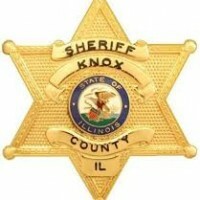 The two men that are vying to be Knox County Sheriff met in a candidate’s forum Wednesday night at the Galesburg Public Library. One thing there’s no debate over is that both David Clague and Kip Canfield have decades of law enforcement experience. Clague said he works well with the Galesburg Police Department, saying the departments often assist each other in backup. Canfield seemed to attack Clague for not having a strong relationship with the departments in the county. He says he would advocate for more cross training with departments in Galesburg, Abingdon, and Knoxville. Canfield promised to wear a uniform and be on patrol himself. Clague said that administrative duties are immense and that’s in part what keeps him off the streets largely, and he also wants to be able to objectively administer his deputies. Speaking on jail safety, incumbent Clague said that the Department of Corrections inspects the jail annually and they’ve never had a violation in his 11 years in the office. Canfield said to make the jail safer he would like to allow licensed volunteers to come in and work with inmates suffering from mental health issues. In the discussion about making the jail safe, Clague said there were only 2 or 3 cameras in the booking area when he came into office and now there are 42 with more on the way. Canfield seemed to suggest that less focus should be placed on drug busts at the Amtrak Station. He says most of those arrests are for marijuana when resources should be focused on harder drugs like meth. Canfield cast doubt on the reliability of body cameras and mics even though he said they can be a “great tool.” He also said the cost associated would likely be great. Clague said the servers to store video is the most expensive part of body cameras, but he would be very interested in Knox County obtaining them in the future. When asked how their political affiliation will figure into their handling of the position, both men lamented the fact that they have to declare a party for this race. They also emphasized their willingness to work with members of either party. Clague has been Sheriff for 11 years, and Canfield has 35 years in law enforcement.